Santa Barbara, Calif. (January 12, 2019) – With rain subsiding and cloudy skies making way for sunshine, eight brave athletes toed the line to attempt the Thoreson 30–completing all ten Decathlon events in 30 minutes. 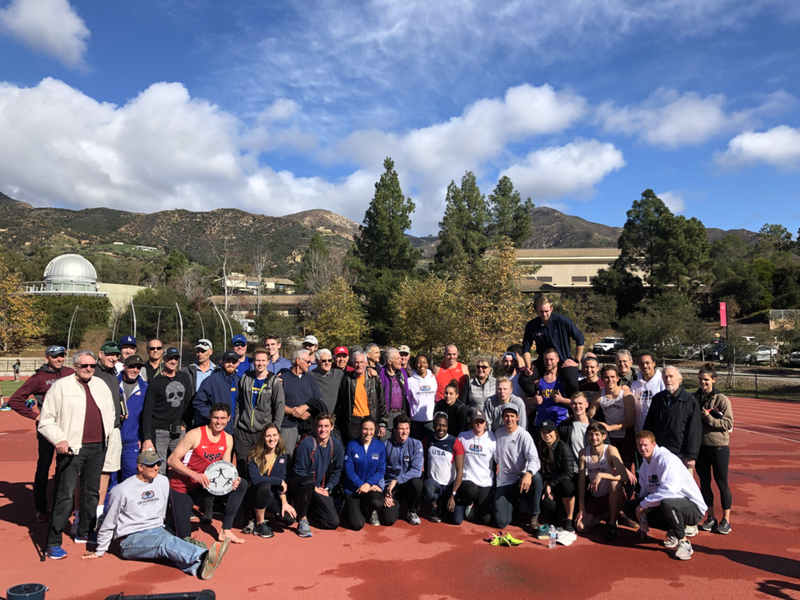 Five generations of multi-event athletes (pictured below) came out to celebrate the life of Decathlete and La Colina Jr. High School teacher, Dave Thoreson, and support the day’s competitors who participated in an event he created in the 1970s. Curtis Beach, a 2012 NCAA Champion and Duke alum, who boasts an 8,084pt personal best in the traditional two-day Decathlon, won the event with 6,242pts. He surpassed 700pts in three events, including the 100m (11.54), Long Jump (6.70m / 21’11.75”) and 1500m (4:34.04) to help get him over the 6,000pt barrier and better runner-up, SBTC Coach Tom FitzSimons who finished with 5,824pts. 2-time U.S. Olympian Sharon Day-Monroe finished in third with 4,860pts. Sharon, who was competing in her first Decathlon, had the event’s only 800+ point performance throwing the Shot Put 14.49m (47’6.5”) for 827 points. 2018 U.S. Olympic Bobsledder Evan Weinstock returned to his Track & Field roots scoring 4,452pts for fourth place in the competition. He had the day’s best 100m, using his Bobsled speed & power to cover the distance in 11.38 seconds. 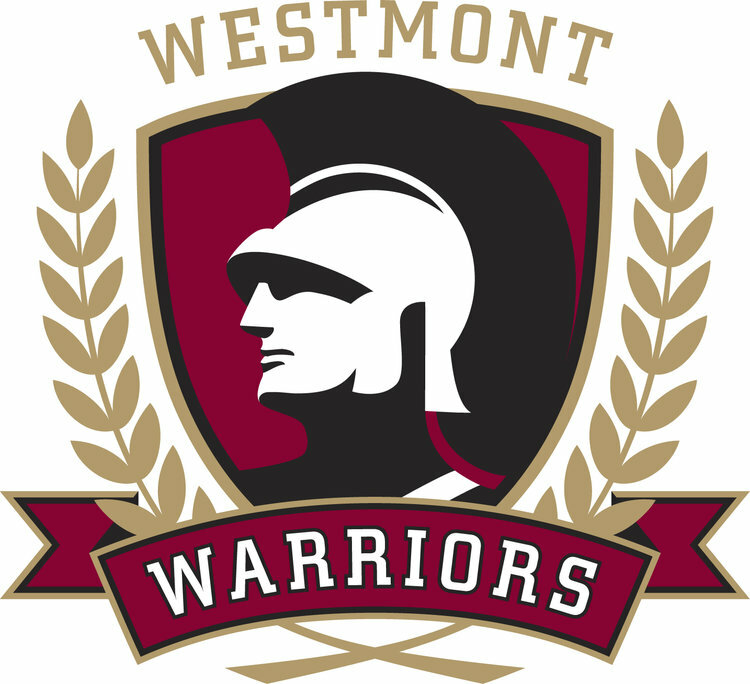 Also scoring over 4,000pts was Westmont alum Travis Smelley who scored 4,051pts, obtaining the day’s best 30 minute to personal best Decathlon (4,978pts) point differential. The SBTC also welcomed local youth athletes to compete in the Youth Triple, trying their hand at a three event in thirty minutes event. The SBTC Youth program kicks off in February with a 12-week Winter/Spring season; registration is available here. For complete event information please visit the Thoreson 30 event page. Thoreson 30 competitors take a celebratory lap with Kevin Reid providing much deserved high fives. A not so complete list of those pictured: SBTC Coaches & Athletes, Westmont Coaches & Athletes, Curtis Beach, Sharon Day-Monroe, Evan Weinstock, Derek Masterson, John Warkentin, Frank Zarnowski, Gerry Moro, Louis Jordan, Ron Wopat, Dennis Savage, George Pannnel, Steve Gough, Van Latham, Doug Shaw.